Property and ROW is overgrown with weeds, but most importantly the pool is not maintained, it is a breeding ground for mosquitoes right next to a nursery school. The speedbump has big chunks missing from it. We appreciate you taking the time to submit a request for service to the City of Tucson, Department of Transportation. We need more information to process your request. Please reply to this email with the following information which way are you traveling? There is a giant pothole in the alley directly behind my house in need of repair as soon as possible. We appreciate you taking the time to submit a request for service to the City of Tucson, Department of Transportation. 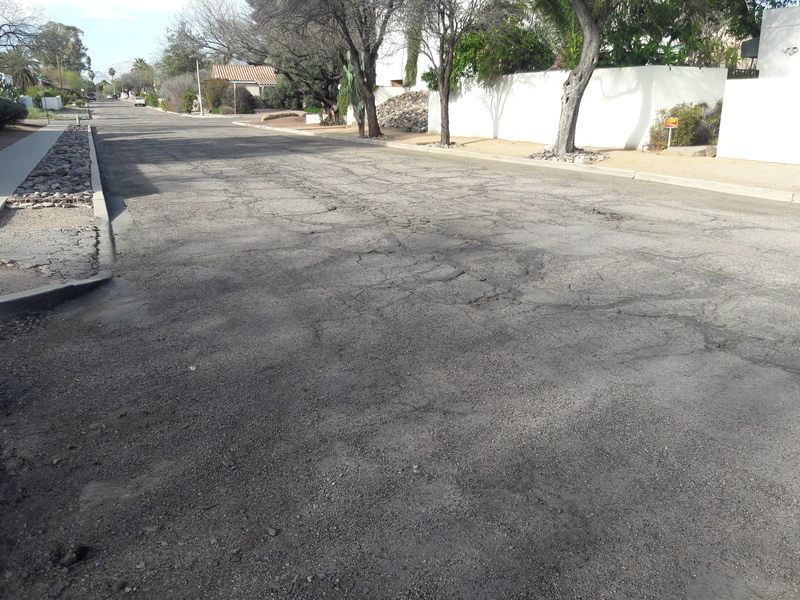 Work request #5368 has been created to investigate your concern in the alley at 625 N Stewart Ave . You may track the status of your request by calling (520) 791-3154. This is still an outstanding issue and the pothole has not been repaired. Your service request #5368 is still open I have submitted this to the Supervisor.